Hey Mama! 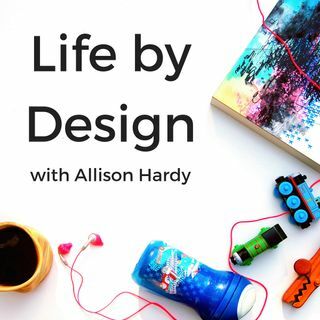 And welcome to episode #107 of the Life by Design Podcast with Allison Hardy! You’re going to love today’s interview. After 14 years studying and working in nursing, one of Lynette’s most memorable career experiences was traveling aboard the USNS Mercy hospital ship to ... See More treat pediatric patients in the little-known country in the middle of the Pacific Ocean, Timor Leste. (Heard of it?) Lynette's first corporate job as a Registered Nurse was with a ranking children’s hospital in the United States. This first job led her to pursue a master’s degree at the University of San Diego as a Family Nurse Practitioner, leading her to meet her husband. Their first baby boy arrived a couple years after practicing full-time as a Board-Certified Family Nurse Practitioner. While managing patients with advanced heart failure, heart transplants, and mechanical cardiac support, Lynette had her own change of heart. Feeling she was missing too many precious moments of her son’s childhood, she backed off her corporate healthcare pursuits to have more control over her schedule and co-founded The Mama Ladder™. Mama to two little boys, Lynette is happy to have more time to spend with her family (now with two little men) and create a business that fits her life and priorities. A Southern California-born girl, she's a sunshine lover, simple moment savorer, and happiest with people she loves the most. > Lynette’s entrepreneurial journey started with her first Mama Spring Break with her friend and now business partner, Crystalee. It was through rekindling a long-time friendship that Crystalee and Lynette started their business, the Mama Ladder. > Lynette’s definition of “having it all” is living a life where she feels challenged and fulfilled, and is living up to her potential. > A $5,000 client lead to inspiring the Mama Ladder’s Mama High Five Grant, money can facilitate such amazingly massive change! > Boundaries are key to scaling and growing your business. You HAVE to have strong boundaries around your business, your clients, and your personal time.